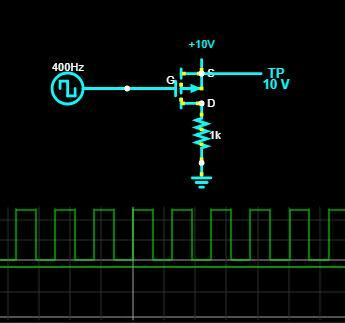 How to switch a large-V load with a P-channel mosfet and small-V unipolar clock? but if i make the source V higher than the gate V, i get a flat line output. How high is 'High-V' ? Q2,Q3 are optional for speed improvement. Omit if you are not switching rapidly. Notice you have a drive choice here : into the NPN base for Hi=ON, or you can connect base to MCU-Vcc, and drive low end of R1, for Lo=ON. 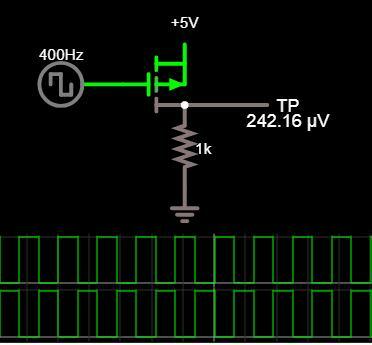 * The ratio of R1:R2 defines the upper gate drive voltage, useful for high-V loads, to avoid damage of the P FET gate. Some designs add a zener across the P-FET gate for even further insurance. A down side, is at very low high-rail voltages, the gate drive is reduced. (eg a 5V gate drive, needs > 7.7V rail, with 3v3 on base. Choose a NPN device with any gain, but ample voltage margin - 140V and even 300V NPNs are commonly available.